Black is an excellent choice for luxury in your bathroom. Here at LivingRoc we have many choices to choose from. We would like to highlight our PEGASUS SHADOW with a gallery collection of photos from our customers. Enjoy. 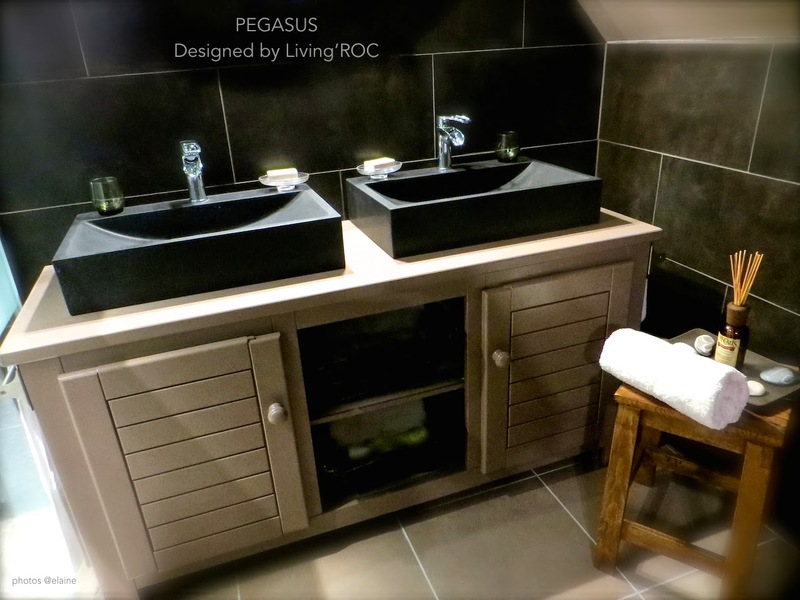 Such a wonderful display with 2 Black Granite vessel sinks "Pegasus Shadow". The look of two is just stunning. The Pegasus Shadow has been among a favorite of yours. We have a few more to tantalize you with. PEGASUS SHADOW is a beautiful single natural stone vessel sink with straight lines and a great depth. A faucet hole has been made into the sink center. PEGASUS SHADOW is made from genuine interior decoration trendy pure black granite. 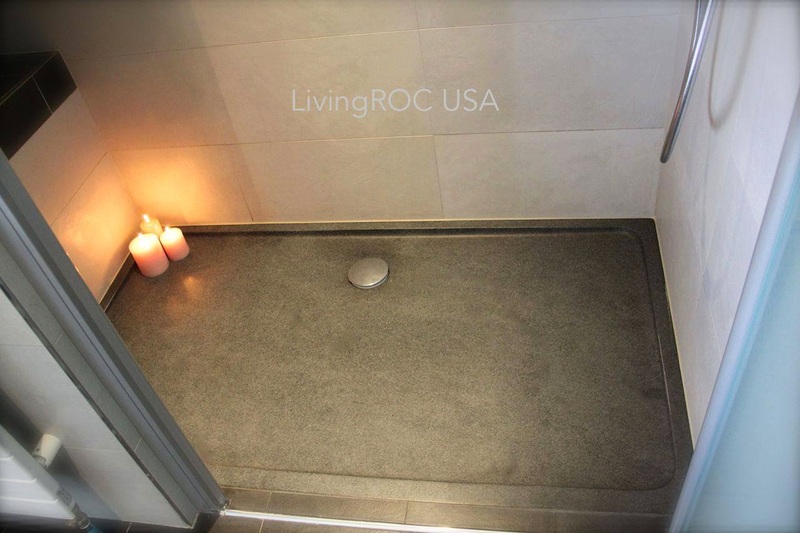 You will definitely not let anyone feel indifferent with this 100% natural stone unique in the US and exclusively available on Living'ROC.net. Granite is one of the strongest stone after diamond. 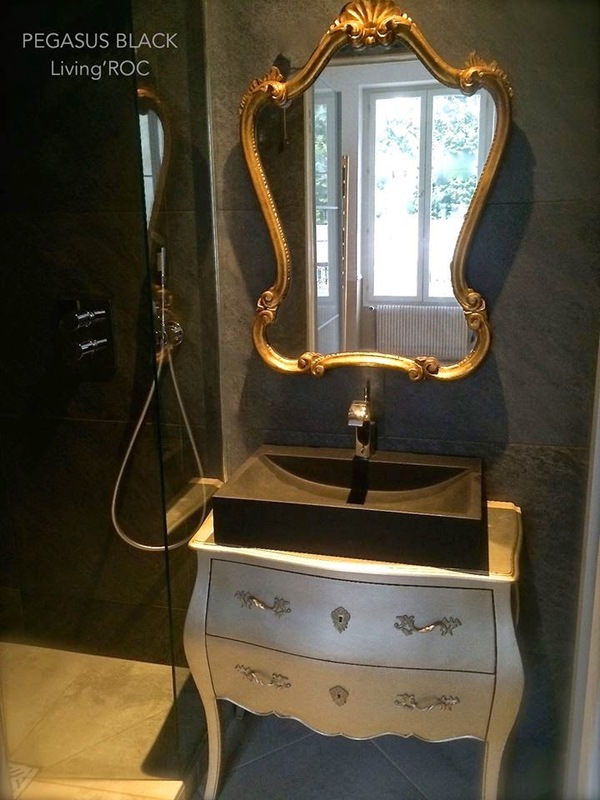 What a lovely classic look on this beautiful vanity. We have selected only the most beautiful stones for an exceptional quality. 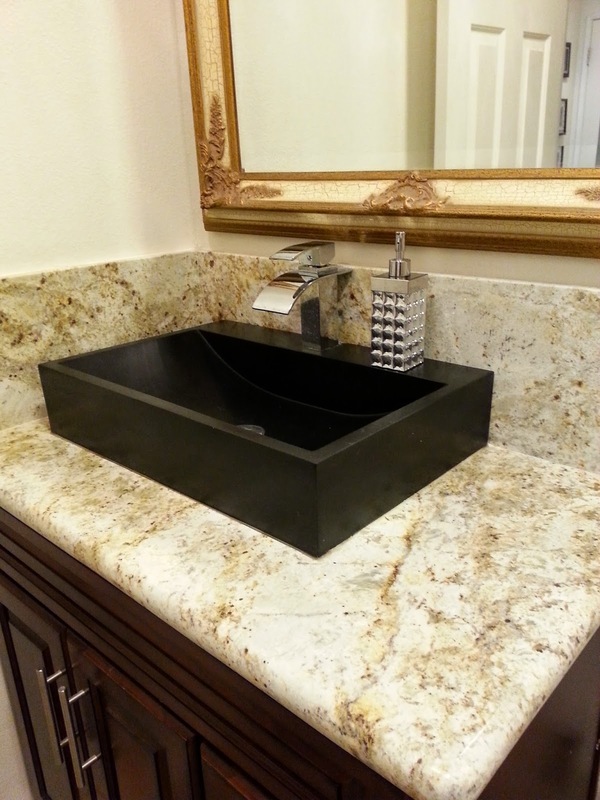 We are using granite material which is perfectly adapted to the bathroom use. The outstanding opportunity to make your world unique! Add great value to your home by installing LivingRoc Creations and tell your stone story through the years of conception. Could you imagine one day installing a single vessel sink made from pure shanxi black granite, sought after by specialists around the world. Why not finish of your surroundings with a granite shower base fit for perfection. We have many sizes to choose from to accommodate your vision. We invite you to see our bathroom collection here on LivingRoc.net. Awsome Bog.... Thanks for sharing such a useful information with us..